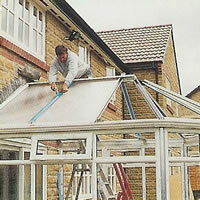 What You Need To Know About Building Regulations For Conservatories? It’s worthwhile knowing what and why we have building regulations in place and when they will need to be followed whilst carrying out some home improvement projects. Building Regulations are often confused with Planning Permission, but they deal with entirely different issues. Planning permission deals with the environment and is there to ensure that whatever developments are carried out is in the best interests of the countryside and towns we live in. It looks at the use of the proposed buildings and the overall appearance and how this will look when added into an existing area. The Building Regulations are performance standards and deal with the health and safety of the occupants and other technical issues and covers all aspects of construction including foundations, insulation, energy conservation and means of escape, these are all constantly being reviewed. A building regulations issue could be; is the foundations to your new extension deep enough? In many cases home owners will have to obtain both planning permission and building regulations approval when adding extensions and carrying out other major projects to their homes. It can be that in certain cases; building regulations approval is required even when planning permission is not. Always check before starting a major home improvement project. • Under 30 m square in floor area. • Glazed in compliance with safety glazing requirements of approved Document N of the Building Regulations and BS6262 Part 4 1994. Always discuss your plans with the Local Authority of where the work is going to be carried out. If you should need building regulations for your conservatory, they will then deal with checking that your plans meet with the regulations and will carry out inspections of the work as the build goes up. They will be responsible for issuing a plan certificate and a completion certificate when the work is complete.